If you’ve run a business for any period of time, chances are you’ve heard both. It’s true – content is a great way to attract your target audience and demonstrate your authority and expertise. And an email list is an asset that will generate revenue for your business in the short and long term. The problem has always been finding a way to bridge the gap between your content and your email list. What if there was an easy way to use each piece of content you write to build your email list every day? What if there was a way to make each piece of content you write evergreen, so it can be used today, tomorrow, and a year from now to generate leads? Well there is, and I’m about to show you how! 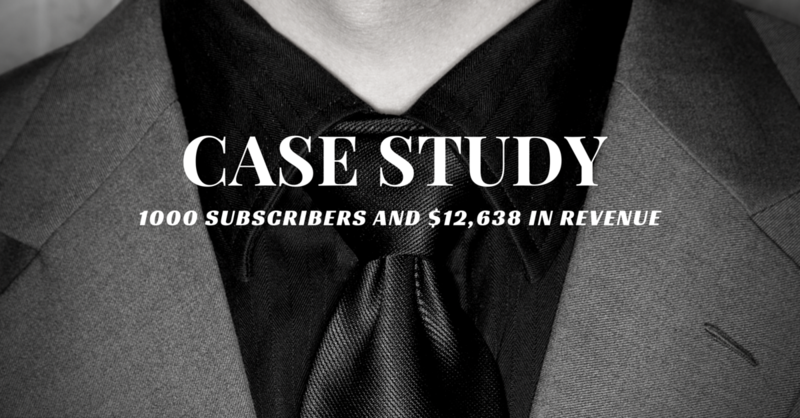 In fact, it’s the same strategy I just used to generate nearly 1000 new subscribers and $12,638 in new revenue. 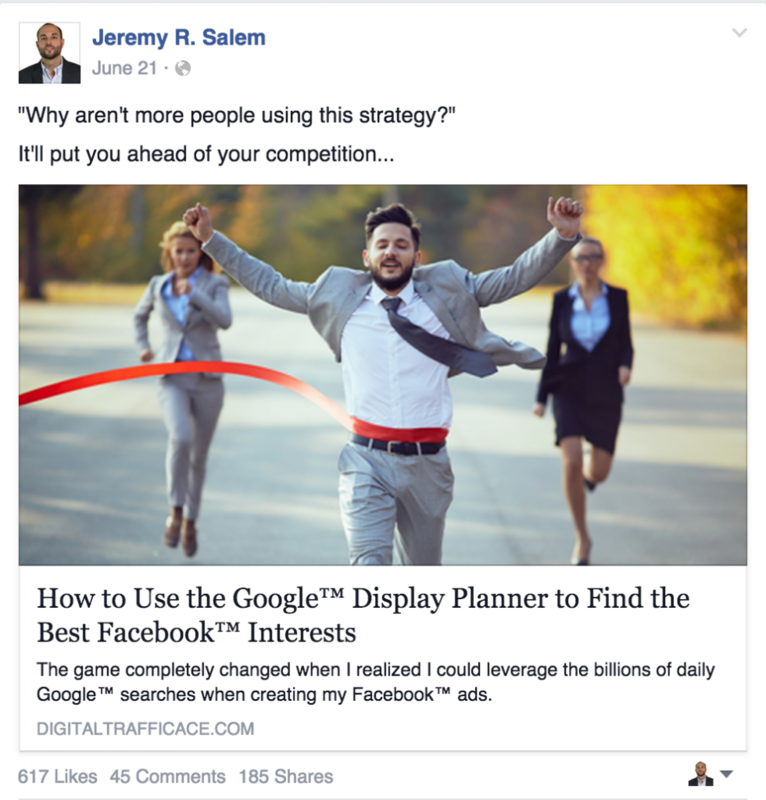 Click here to get a 1-page Cheat Sheet of this entire strategy. On average, how much time do you spend per week browsing the web, reading articles, and following industry blogs? According to the Content Marketing Institute, 80% of people identify themselves as blog readers. Your target audience is part of that 80%. Not only that, but according to Social Media B2B, companies that blog generate 67% more leads per month than companies that don’t. Blogs give you the opportunity to provide value to your target audience, without asking for anything in return. On top of that, blog content allows you to educate your audience and demonstrate your expertise in the process. This builds trust, establishes your authority, and makes your prospects want to learn more. QUALITY trumps quantity in every aspect of content marketing. Wouldn’t you rather write one great piece of content you can use over and over to build your list and generate leads, rather than writing 10 basic pieces of content that do nothing to establish your business in the eyes of your audience? To resonate with your target audience so much, that it convinces them to take the next step you want them to take. Case studies of current/past clients. Strong opinions / going against the grain. Step-by-step details on how you accomplished something. One of my favorite strategies to come up with compelling content is to look at the big picture of your business – from start to finish, what you accomplish for your customers & clients – and then break out little pieces of that to share with your audience. For example, my business is centered around teaching digital marketers, entrepreneurs, and small businesses how to combine paid advertising and content marketing to sell more of their products and services. Inside of that big picture of my business are many individual pieces. This gives me tons of content ideas that all lead back to my big picture. So now you know the best types of content to generate leads and subscribers, but you still need to figure out how to take someone who is reading your content and turn them into a subscriber. There is tons of info out there about pop-up boxes, sidebar forms, and more, but over the last year or so, I have identified the most effective way to easily transition readers into subscribers. I call it my Box, Pop, & Grab Strategy. The reason it’s effective is because it offers a very relevant transition to your website visitors. The biggest mistake most businesses make is having one call-to-action for all visitors of their website. A fitness pro writes a blog post on the 10 best substitutes for your favorite foods. It’s a great piece of content that really helps the fitness pro’s target audience. Get my 30-day eating and workout plan for free! So they are reading a post about the 10 best substitutes for their favorite foods, and then they see an offer to get the complete list for free. They click the box, up pops an opt-in form, and you grab their name and email. This strategy is not only effective at generating subscribers, it’s effective at generating high-quality subscribers. The reason is because you aren’t just sending people to a landing page and asking for their name and email. You are giving your readers valuable content, and they are then voluntarily giving you their name and email for more valuable content. The transition is highly relevant to the piece of content they are reading, which dramatically increases their chances of becoming a subscriber. Now you not only have a new subscriber, you have them segmented based on which piece of content they came from. You could even offer them a relevant product immediately after they subscribe, since you know what they’re interested in. The main benefit is they’re on your email list now, and the nurturing process can begin. If the Fitness Pro wants to offer the subscriber the free 30-day eating and workout plan, now they can – but the key is to first capture the lead through a relevant transition. 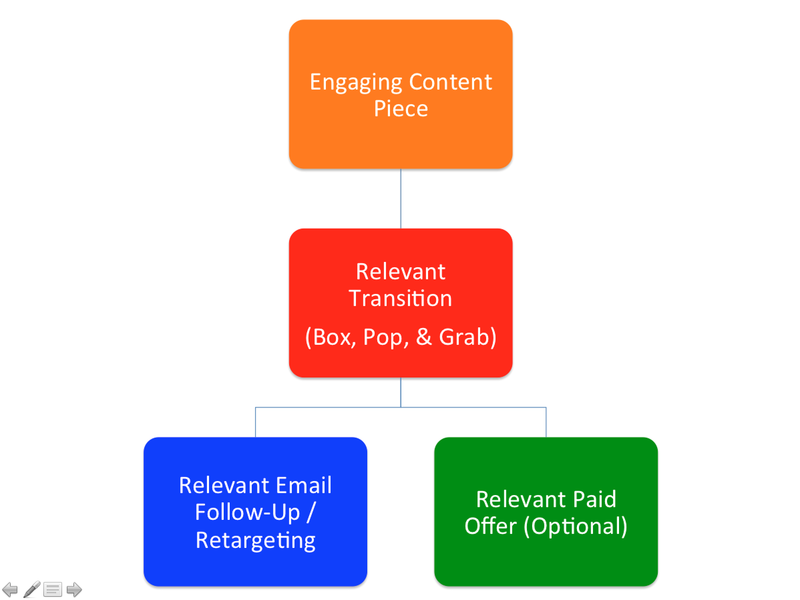 The Box, Pop, & Grab Strategy is what adds purpose to your content creation. If you’re just creating content with no purpose, you’re wasting time. Trust me, I’ve had to learn that the hard way. When you create content that’s designed to turn readers into subscribers in the most logical way possible, you’re building a pipeline of leads and future sales. So now that you know how this whole strategy works, I’ll show you how I recently put it into action and got amazing results. As I said above, the big picture in my business is centered around teaching digital marketers, entrepreneurs, and small businesses how to combine paid advertising and content marketing to sell more of their products and services. One part of this process is what I like to call Audience Attainment. It’s the steps I go through to identify the best audiences to promote my content to, and the people most likely to take my desired actions. Remember earlier when I said an easy way to come up with content ideas is to look at the big picture of your business, and then create content around all the little pieces that make up that big picture? That’s exactly what I did here. If you look at content now, you will see the call-to-action is a Cheat Sheet, which is a short PDF that quickly summarizes the strategy discussed in the post. Prior to having the Cheat Sheet, I had a webinar as the call-to-action. I did the webinar twice. 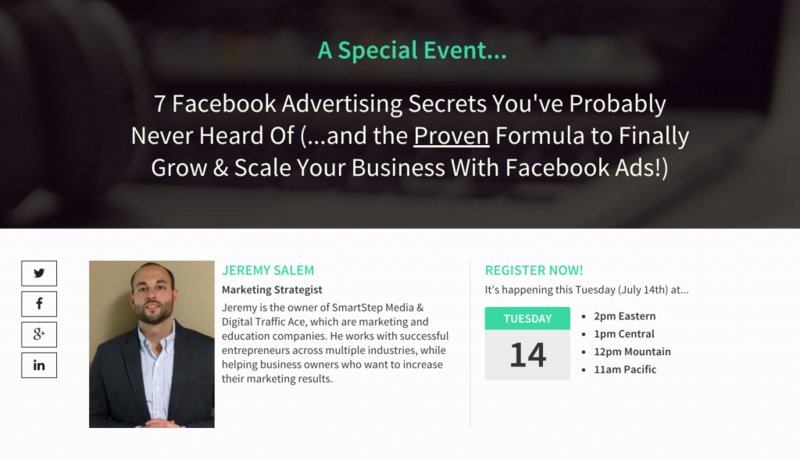 The first time I did the webinar, I charged $5 to all attendees. The second time I did it, I didn’t charge anything. Both times I did the webinar, I used it to sell my backend products and services. It’s important to take that into account as I breakdown the revenue and expenses for this case study. The first thing I want to do is show you all the expenses I had in the promotion of this content and all the supporting pieces. Below is a screenshot of all my paid advertising expenses over the course of the last few months for this particular campaign. This includes promoting this content piece, retargeting people, promoting my webinars, promoting my cheat sheets, promoting the backend products in the sequence to the people who read the content piece, and anything else related. My goal is to be 100% transparent. My goal is also to drill home the point that in order to make money, you need to be willing to spend money. I was not running ads every day. In fact, there was a period of about 30 days where I didn’t run ads at all, to focus on other projects. As mentioned above, the first call-to-action I ever had was to a webinar, where I first charged a small $5 fee to attend, and then ran again without the $5 fee. People simply read the blog post, and then were directed to the webinar registration page. Overall, these webinars generated me 251 new subscribers (people who weren’t already on my email list). 1) Made people aware of my high ticket consulting (in case they were interested). 2) Offered people a chance to join my membership group, the Social Sales Growth Forum. After the webinars, I decided to turn this blog post into an evergreen lead generation piece of content. This is when I created the Cheat Sheet, which is a 2-page summary of my post. Inside my content, I give people multiple opportunities to download the Cheat Sheet, just like I described above in The Box, Pop, & Grab Strategy. Nearly 11% of the people who were going to leave the page without opting-in, decided to enter their name and email to receive the Cheat Sheet. When you combine that with the 320 people who were added to my email list through The Box, Pop, & Grab Strategy within the the blog post, that gives me a total of 466 subscribers who opted-in to my Cheat Sheet while reading my content piece. Because it’s only costing me $2.19 per email subscriber. First these people see an ad. Then they click on the ad and see a piece of content. Within that content, they decide to opt-in and receive the Cheat Sheet. 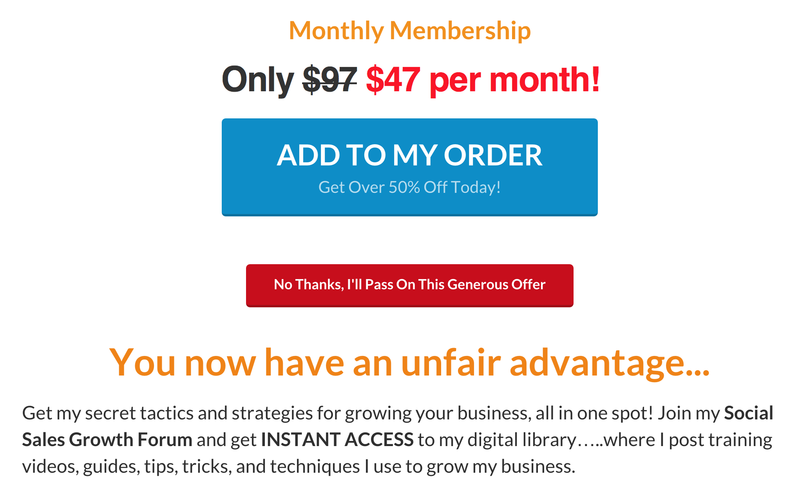 There are multiple steps people have to go through to get on my email list, and it’s still coming out cheaper than it does for most people who send traffic directly to a landing page and ask for name/email. It’s because people find value in the content and they want more of it. And what’s even crazier is that Facebook didn’t pick up every single conversion, so the cost per subscriber is actually even cheaper than what’s shown above! The opt-in rate is not as high as I would like, but nonetheless, it brought in 366 subscribers. Make the Cheat Sheet less “tactical,” but still relevant. 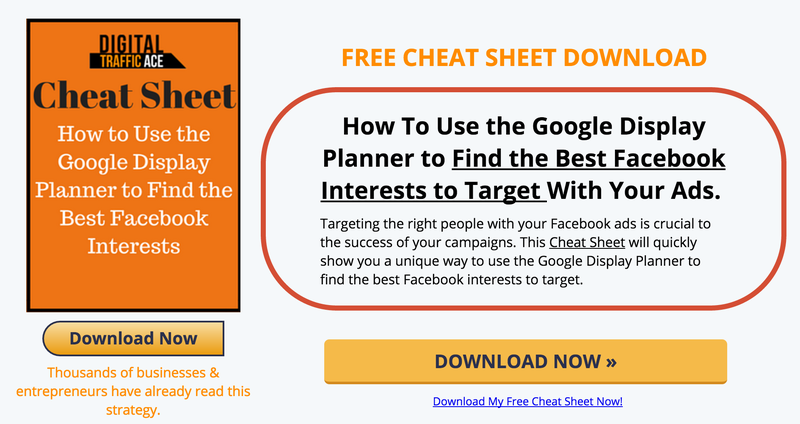 There is no doubt this blog post and Cheat Sheet is intended for people already in the Facebook marketing trenches. For this reason, it may scare off or confuse people who see it as too overwhelming. Regardless, around 832 total people have downloaded this Cheat Sheet. But what kind of marketer would I be if I just stopped at the opt-in? I’d be missing out on a huge opportunity to identify buyers in that audience, and also recoup some ad spend. To do that, I took a Facebook training course I put together in 2014, and marked it down 93%. I then offered it to every single person who downloaded the Cheat Sheet. Not only that, but I created an ad to anyone who downloaded the Cheat Sheet, but didn’t take advantage of my special offer. 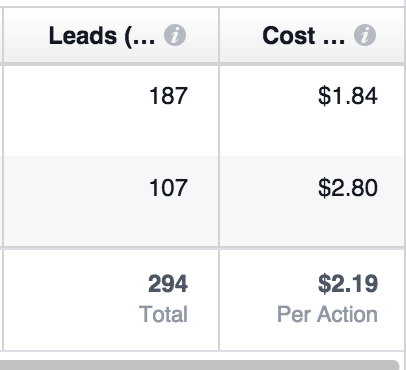 Overall this led to 78 sales ($546 in revenue). Once someone purchased the Facebook course, they were then offered an opportunity to join my monthly membership community. I didn’t make the membership community upgrade a 1-click-upsell. A 1-click-upsell is when someone buys a product, and is then presented with another product that they can simply click a button to buy, since they just entered their payment info for the previous product. This has definitely cost me sales. 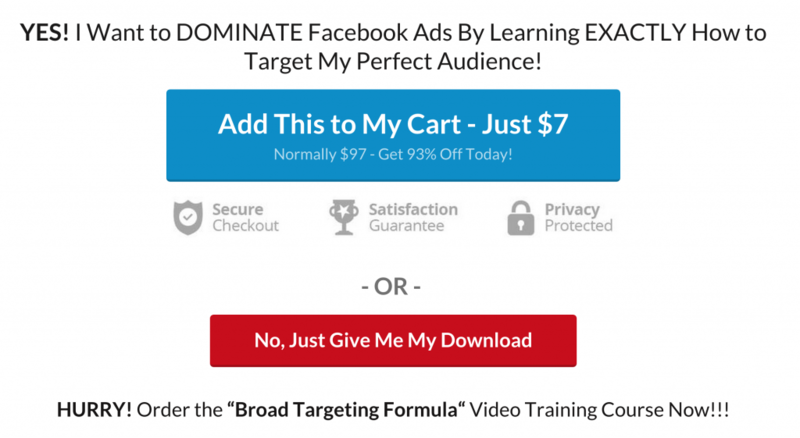 In fact, Neil Patel says you lose 70% of your sales when you don’t have a 1-click-upsell. To make up for this, I offered everyone a $1 trial. While it doesn’t make up for the lost sales, 16 people have currently enrolled in the $1 trial. Assuming they are happy with the group, many will become recurring customers, which is a steady source of monthly revenue. This one is pretty simple and self-explanatory. One of the benefits of creating valuable content, is people naturally want to work with you. My content is a great way for me to demonstrate my expertise and land new clients. So I create one piece of awesome content, and can land a client that pays well month after month. So far, I’ve been able to tie back one client to this particular piece of content. The revenue so far from this client is $3,420. (Note: Want help implementing a similar strategy in your business? Schedule a 25-Minute Matrix Breakout Session). 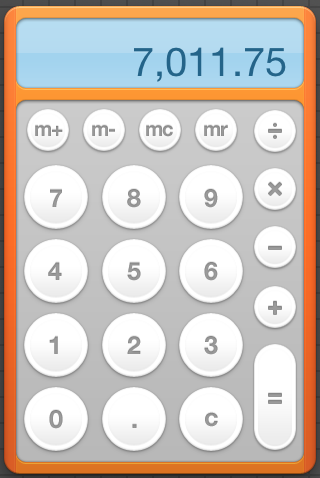 And when you subtract the $7,011.75 of expenses (this includes EVERYTHING), that leaves a profit of $5,733.25. Having a profit at this point is great. The reason I don’t mind investing in paid advertising is because I know I have products and services to offer people who view my content. I’ve planned everything in advance (this is Step #1 of The Invisible Sales Matrix). But the main reason I don’t mind investing in paid advertising is because the long-term benefits far outweigh the short-term profit. I’ve added nearly 1000 NEW subscribers to my email list that I can continue to communicate with, build a relationship, and sell my products and services to. I’ve added THOUSANDS of new people to my custom audiences, that I can now market to on Facebook, Twitter, and Google. I’ve added dozens of members to my monthly membership group, which will be recurring income for months to come. I’ve added hundreds of new fans to my social media channels, meaning I can communicate with them and send them more of my content. I’ve added new clients, which will continue to bring in revenue each month. I’ve added dozens of new customers to my products and services. And this one piece of content will continue to add new subscribers, build my custom audiences, add members to my membership group, build my social mean fan base, add new clients, and generate new customers. That is the reason this is so powerful, and why the long-term benefits have me more excited than the short-term profits. And when I create NEW content pieces (like the one you’re reading right now), the same thing will happen. I continue to add evergreen content pieces that build my brand, generate leads & subscribers, and bring me new customers. And now you know how to do the same thing! So what do you think…do you plan to implement this strategy in your own business? What type of content do you plan to create to generate more leads, subscribers, and customers? Jeremy Salem is the President of SmartStep Media, a digital marketing agency, and an author, product creator and online business strategist at Digital Traffic Ace. He is also a diehard sports fan, who constantly paces around the coffee table and screams at the TV during games. Beyond that, he is well-known for paying $22 every three weeks for a haircut, even though he’s been going bald since his senior year of high school. 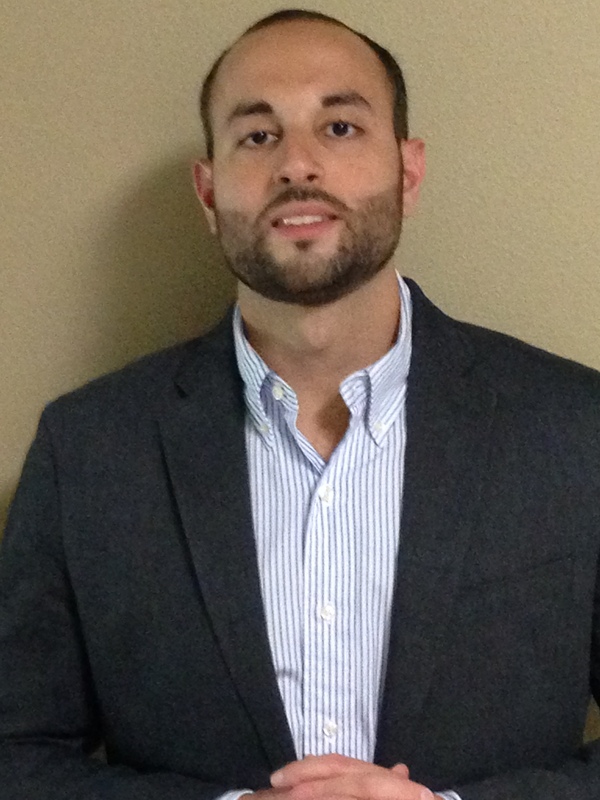 Lastly, his “professional” photo that you see on this website was actually taken by his wife in their kitchen on a random Tuesday morning. ANOTHER piece of KILLER content. Absolutely fantastic, and if you sold this, people would be VERY happy with it. But since you didn’t, even MORE people will know how good you are, and will want to hire you for their projects. Not only that, but you are DEMONSTRATING exactly what you are talking about in the post!! I plan on keeping this tab open for a MONTH. Thanks for the great work man!